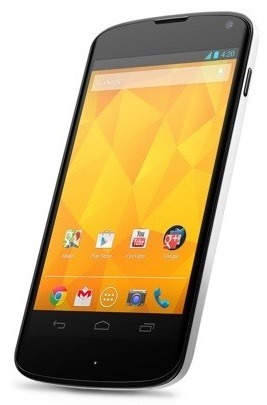 The latest Google smartphone, Nexus 4, has been in the market for quite some time. It was flawed by production shortages with LG underestimating the sales that stole from the Android market. But good signs of consumption breaks out as the new White variant of the popular smartphone comes into the picture. The Nexus 4 may not have the best hardware in town but it is certainly a good buy for those looking for the best value-for-money handset. Though, this white variant might held you back knowing that the actual "white' part of the phone is the back cover. Aside from that, no hardware bumped has been reported, so you would still be getting the same old 4.7-inch IPS Plus display at 318 ppi, quad-core Snapdragon S 4 Pro and 2GB of RAM. Of course, the ocassional software update from Google will always be the sweetest spot. There's also no bump in the 8GB/16GB configurations. Together with this announcement, LG exec also shuts down the rumor of the Korean giant brewing a new Nexus phone ( probably Nexus 5). The white Nexus 4 will be available in May 29th starting in Hong Kong and selective rollouts in Asia, Europe, North America and Middle East will follow. For sure, no pricing difference will occur knowing that this is just a half-baked refresh of the popular handset.